We write books and songs that take place in Florida and the Florida Keys because like our readers, we love it there. We love the tropical islands, the water and the unique people. 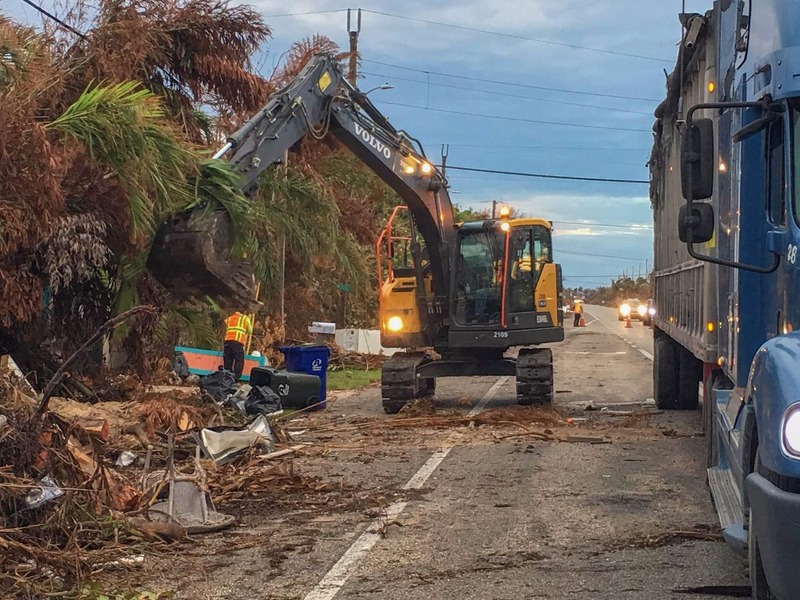 Hurricane Irma hit the Keys hard , a brutal blow that left many homeless. We want to help. We're asking you to help too. 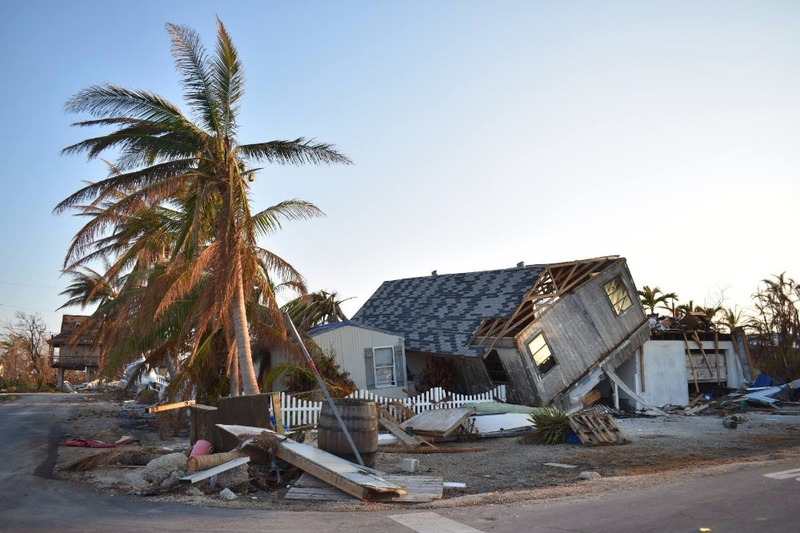 The following writers comprise Writers for Keys Hurricane Relief, and we have contributed to this fund and are reaching out to our fans and friends, including you, to ask that you also make a donation. 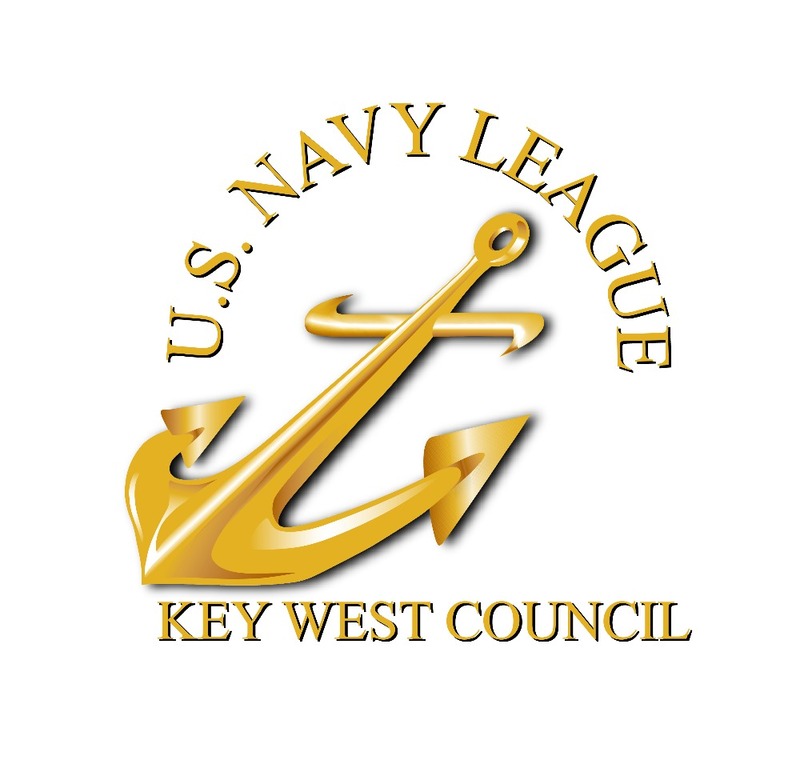 We partnered with the Navy League Key West Council because 100% of donations we raise will go directly to the victims that need our help. 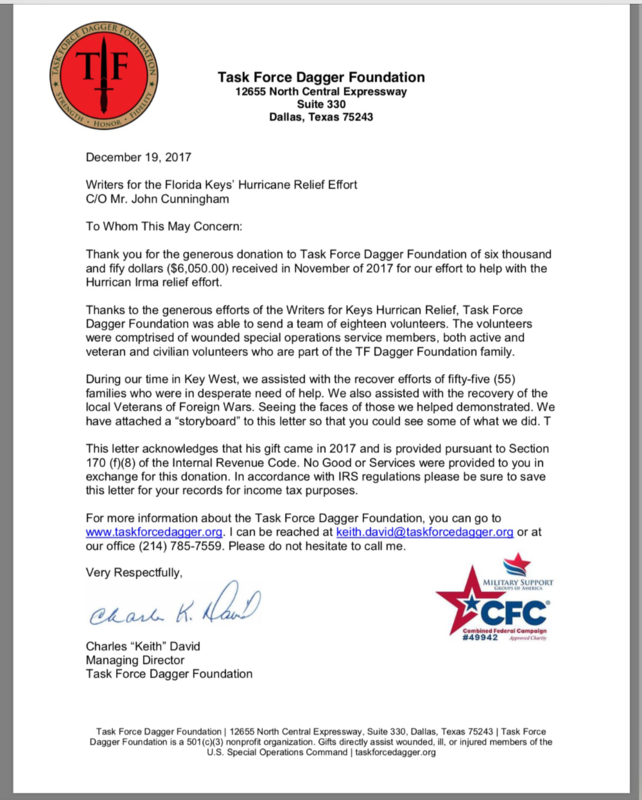 The Navy League Key West Council is based there and will be contributing to other non-profits with boots on the ground, who are actively making an impact. 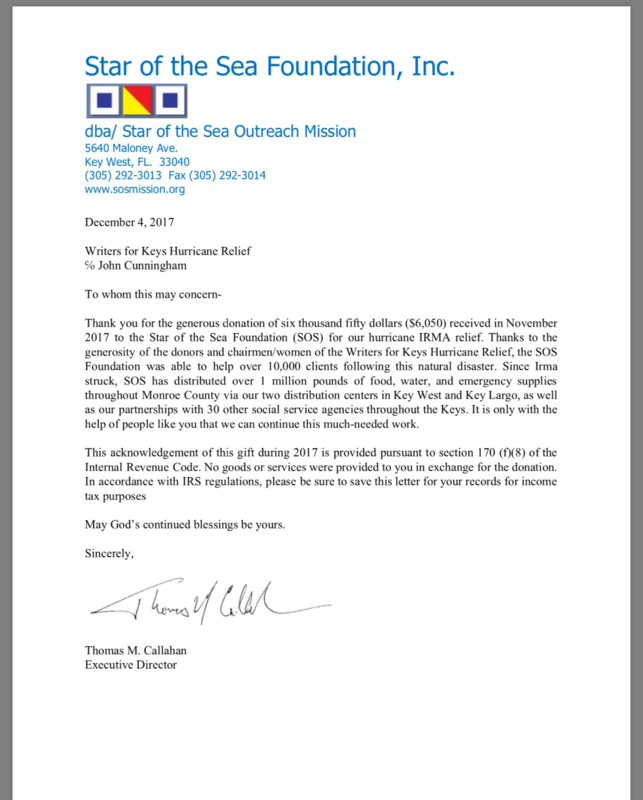 Organizations like Task Force Dagger and Star of the Sea (SOS) have been providing labor, supplies, shelter, food, water and other forms of relief to the people on the ground. If you love the Keys like we do, or our stories and songs about them, please make a donation to help the people who have lost so much. Many have lost everything. You can help. Even the smallest amount is meaningful. 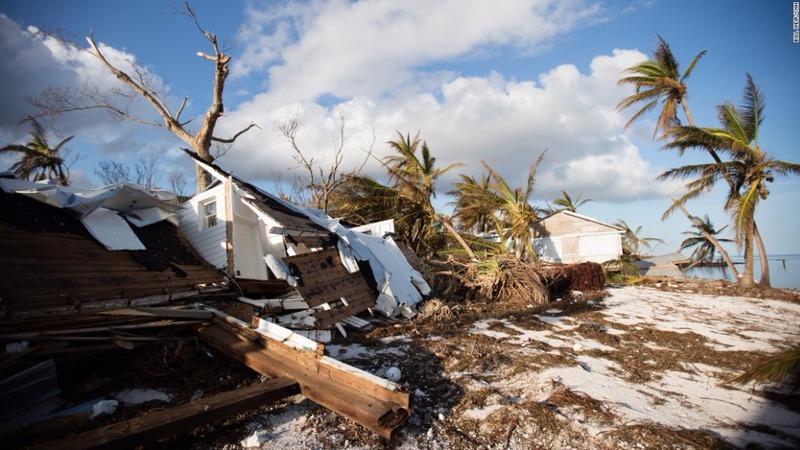 Please make your donation to Writers for Keys Hurricane Relief below. We thank you, and the people of the Florida Keys thank you. "A COPY OF THE OFFICIAL REGISTRATION AND FINANCIAL INFORMATION MAY BE OBTAINED FROM THE DIVISION OF CONSUMER SERVICES BY CALLING TOLL-FREE 800-435-7352 WIHTIN THE STATE. REGISTRATION DOES NOT IMPLY ENDORSEMENT, APPROVAL, OR RECOMMENDATION BY THE STATE." Thank you to everyone who contributed to the Writers for Keys Hurricane Relief, and all of the writers who participated with this effort. The campaign will be closed down on 12/31/17. 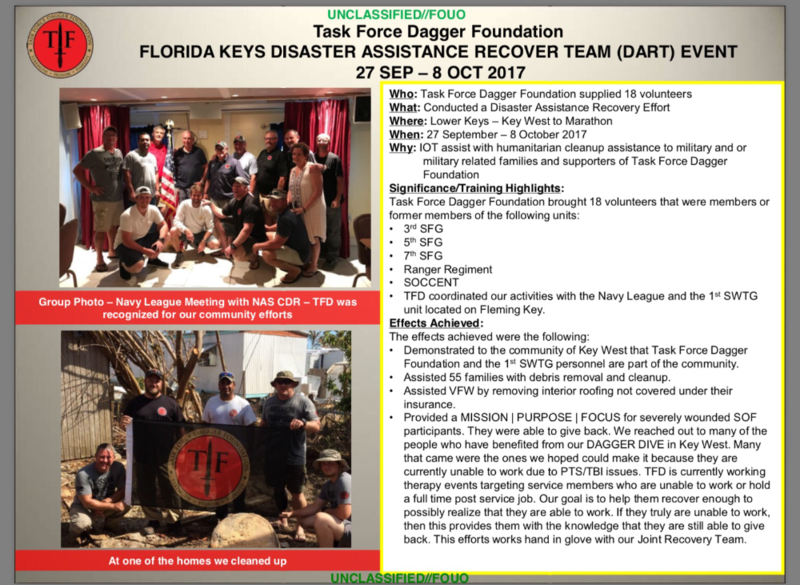 To date we have raised over $13,000 and worked with the Navy League of Key West to distribute funds to both Star of the Sea and Task Force Dagger, two organizations who worked tirelessly (and are still working) to help people who lost so much in Hurricane Irma. Please see letters below from both of these organizations thanking everyone for their support. Thank you also to Preston Brewer of the Navy League for his assistance in designating, meeting with, and organizing the recipient charities, as well as aligning the Navy League as the conduit for us to donate through. Much work remains to be done, so please keep these organizations in your hearts while they help people to put their lives back together again, or at least feed, clothe or assist them on the path to recovery. Any final donations will immediately be sent to these 501c3 companies. Thanks again, and on behalf of the Writers for Hurricane Relief, we wish you happy Holidays, and a joyous New Year. 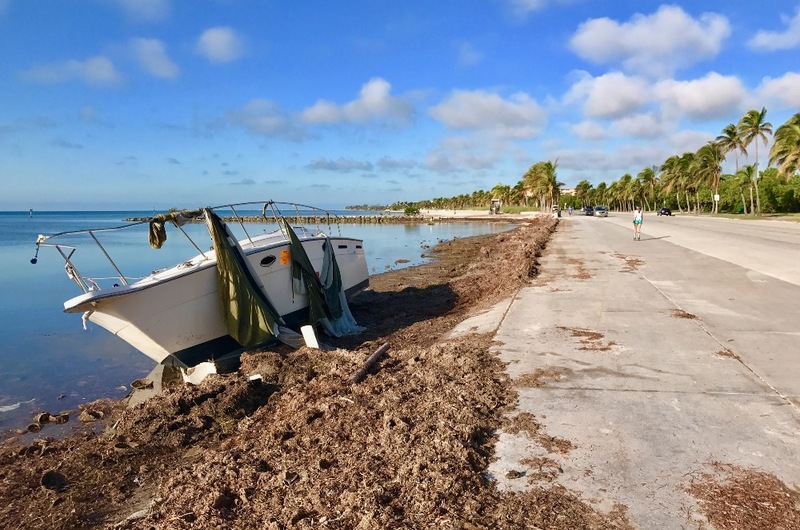 "This is an ongoing effort, as there is still so much damage in the lower keys. Boats are just one of the issues still causing problems down here. There are still HUGE trash piles along the highway, and in neighborhoods. Rebuilding is slow, as there are only so many contractors licensed to do work. Food pantries are still open for those displaced. Quite a few residents decided to not return after the storm. 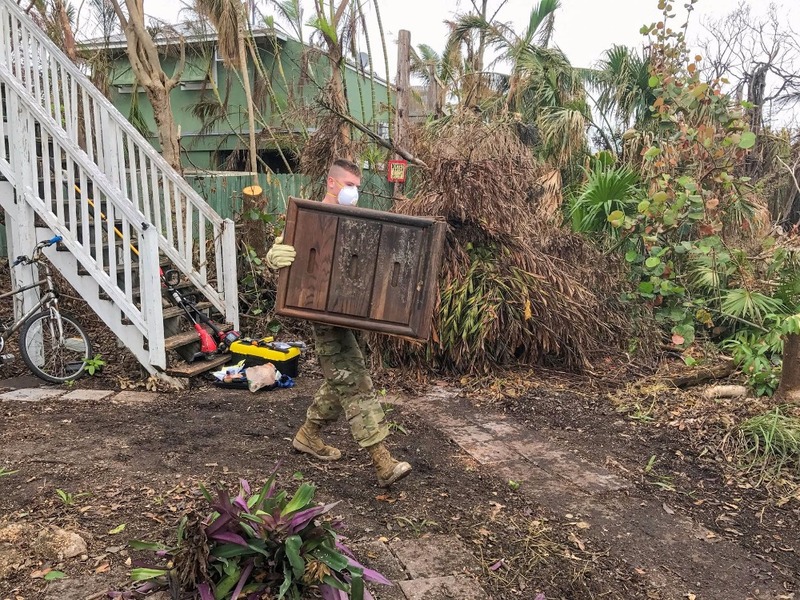 Donations to local charities are still needed to continues our local initiatives to help our neighbors who were so devastatingly effected by Hurricane Irma." 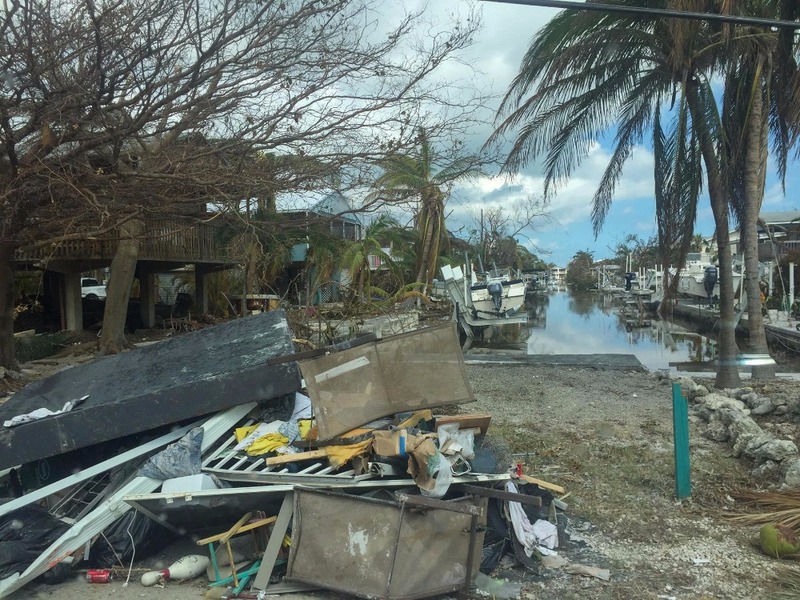 Please support the relief efforts by making a donation of any size to the Writers for Keys Hurricane Relief. Thank you. Good Morning America is doing an update on hurricane recovery tomorrow (Monday, 11/13/17). 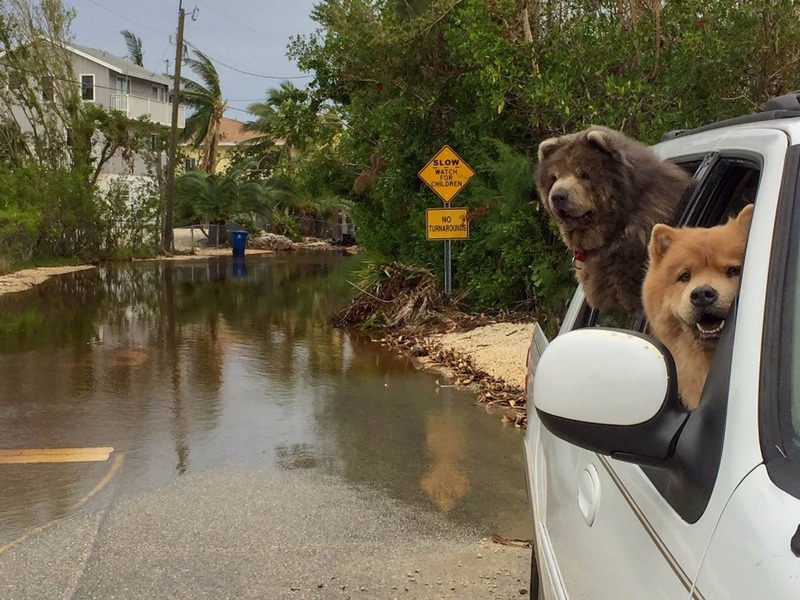 They will be broadcasting from the Florida Keys, Houston and Puerto Rico. Check it out, and thanks to everyone who has contributed to Writers for Hurricane Relief. Your continued support is appreciated by The Navy League and Star of the Sea in the Florida Keys. I'm here in Key West and the Keys continue to need our support. 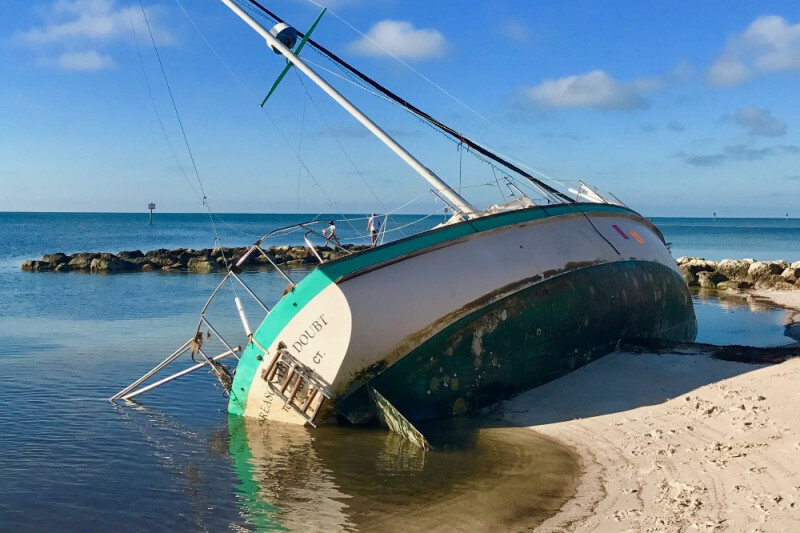 The photo above is of a boat swamped on A1A, and just one of hundreds lost to the storm. 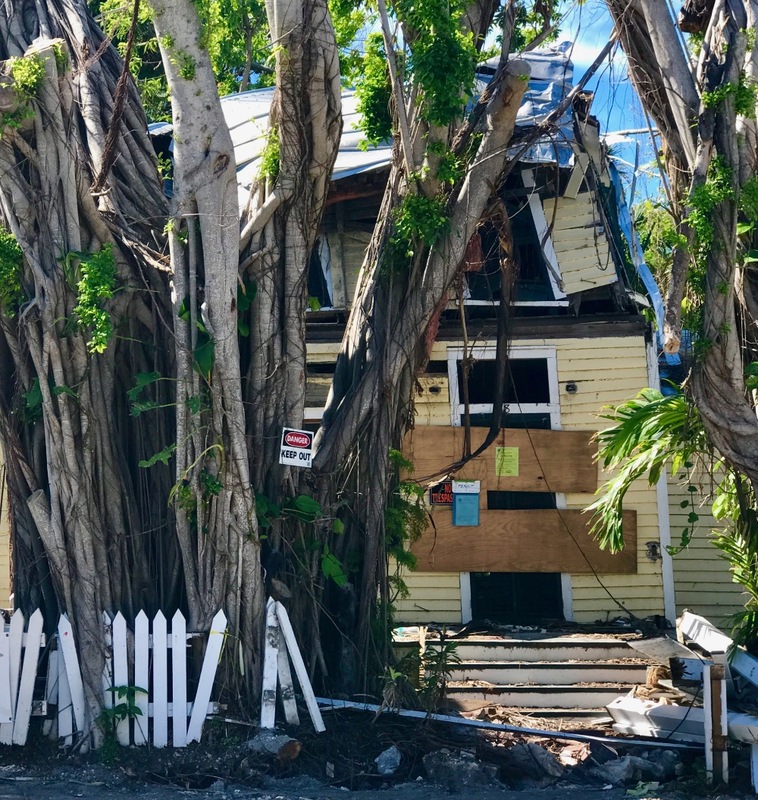 The number of homes lost is staggering, and the middle Keys are in terrible shape. I have met with representatives from the Navy League and spoken to people at Star of the Sea, and they continue provide labor and supplies to assist with the recovery. This is by no means a fast process. In fact it will take years for the most heavily impacted areas to recover. Other impacts are that due to the loss of so many homes, there is now a workforce shortage and employers are having difficulty operating businesses. Again, this area has been very hard hit, and any support we can provide will be beneficial. Thank you. The Keys still need your help!